You can print this off and give it to your lawyer to give to the prosecutor at the proper time. It is not binding on the government but it does give the assigned prosecutor something to put in his file from the accuser. If the prosecutor has it too soon, they may attempt to force the witness to testify involuntarily (call you up and threaten you) so you may want to discuss this with your lawyer before subjecting yourself to persecution by the prosecutor. A lawyer would probably bring it to court and give it to the court on the day set for hearing or trial when the witness does not appear. The evidence is what determines the out-come in most cases. It depends upon the facts and what facts can be legally admitted under the rules of evidence or presented to the judge or jury in open court. 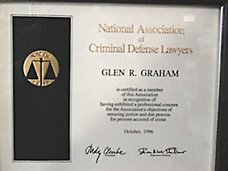 A defense lawyer is prohibited by law and ethics from making any statement to a witness which specifically tells the witness not to come to court to testify. A witness should use their independent judgment to decide what is in their best interest. A witness should hire a lawyer or at least talk to an “independent” lawyer (a lawyer not representing the defendant and a lawyer who is not the prosecutor) on the telephone about what is in their best interest. Neither the prosecutor nor the defense lawyer represent the victim. Title 22 O.S. Section 720 specifically states that a “material witness warrant” cannot be issued for a VICTIM in a criminal misdemeanor case for failing to appear. A material witness warrant can be issued for a witness who is not a victim under certain circumstances like proof of service of a subpoena or in felony cases where a non-victim witness makes certain statements to police or prosecutor about not appearing. If a victim is personally served with a subpoena there is the possibility of the prosecutor asking the court to issue a warrant for the victim if they fail to appear but this is a matter of discretion and some prosecutors may let it go and some might not. If the victim is not personally served with a subpoena then how would the victim know to come to court and nothing usually happens. Some prosecutors may attempt to telephone the victim and talk them into coming to court or try to scare them into appearing in court or even say they will seek to have a warrant issued which is not possible against a victim unless there is personal service of the subpoena. Without personal service of a subpoena on the victim, there is not much the prosecutor can do in a misdemeanor case. A defendant and a lawyer for the defendant should never tell any witness not to appear in court because someone could try to imply that they intimidated a witness or possibly obstructed justice or committed a crime of witness tampering. A victim may be threatened with prosecution if they talk to the district attorney and make certain statements. The district attorney is a prosecutor who is sworn to uphold the law and does not represent the victim and is not the attorney for the victim. A victim has an absolute right to hire a lawyer to represent them. It is a crime to file a false police report so if a victim tells a prosecutor that they lied when they told the police that something happened then the prosecutor has the discretion to file charges against the victim. It is perjury to testify under oath to something that is not true. So, if the victim filed a false police report and then testifies under oath in court to something that is not true then they can be charged with perjury. A prosecutor has discretion about whether to file charges and does not always file these charges. If the victim does not talk to the prosecutor then they cannot file a criminal offense against the victim for filing a false police report unless there is some other evidence to support the charge. 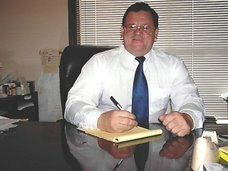 Many cases are set for a trial and then if the prosecutor is unable to obtain personal service of the subpoena on the victim or other witnesses or if there is not a confession from the defendant and if there is not a 911-tape recording from the victim, then in some cases the case may get dismissed. The case can be prosecuted without a victim when there is other evidence such as 911-tape recording, pictures of victim showing injuries, confessions, OR other witnesses. There is political and social pressure to obtain a conviction. There is the possibility that the violence could escalate (possible murder or serious injuries unless counseling) and so there is a desire for the defendant to be ordered to go the counseling which can only be ordered by the court if there is a conviction. A prosecutor may attempt to telephone the victim at the phone numbers listed for the victim in the police reports. A prosecutor may threaten to have the victim arrested (although under 22 O.S. § 720 states a victim cannot be arrested on a material witness warrant) or may threaten to send an investigator to the home of the victim to bring them to court. A prosecutor may make statements to the victim to get them to appear in court. There are some “stories” about some prosecutor calling a victim and stating that they would be arrested if they did not appear in court even though the laws says a victim cannot be arrested for a material witness warrant under 22 O.S. § 720. One story is that a prosecutor once told a victim that they would call DHS to pick up the children or file a report with DHS. (Anyone call call DHS but that does not automatically mean that DHS will take someone’s children. They will investigate the allegation and make an “independent determination.”) Most domestic cases don’t involve the children or any direct harm to the children but there are exceptions. Prosecutors don’t normally prosecute other prosecutors for statements made to victims. 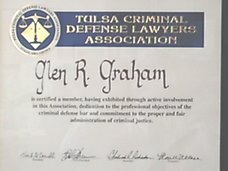 Defense lawyers can be bar complainted, tape recorded, and prosecuted for statements that they make to the victim. 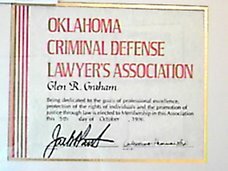 A defense lawyer may be threatened with prosecution for statements made to a victim so most defense lawyers prefer not to talk to the victim. A lawyer for a defendant should not specifically tell a victim not to appear in court. However, a victim can always contact any “independent” lawyer in the telephone book to ask about their rights and what is in their own best interest. Neither the prosecutor nor the defense lawyer represent the victim. A victim has the right to hire their own lawyer to represent them or to at least talk to an “independent” lawyer (not the defense or prosecutor) on the telephone about it.